Discover why you should begin planning your vacation to the Tampa Bay region. There's lots to see and do! Famous landmarks in Tampa are Amalie Arena, Tampa Theatre, Florida Aquarium, Tampa History Center and the Tampa Convention Center. Clearwater Florida is best known for its miles upon miles of beautiful while sand beaches and its magnificent sunshine. Top attractions in St. Petersburg FL include the Salvador Dali Museum, St. Petersburg Pier, Mahaffey Theatre and St. Pete Beach. The Tampa International Airport provides direct connections to many world cities. 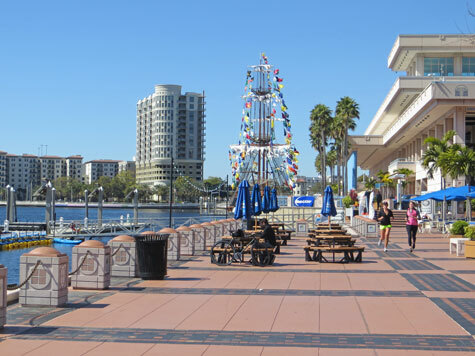 The Tampa Cruise Port is the departure point for Caribbean cruises.